Description Fish Pop! is a simple, challenging and addicting puzzle game based on the game-play of `block collapse` and Fish popping` games. 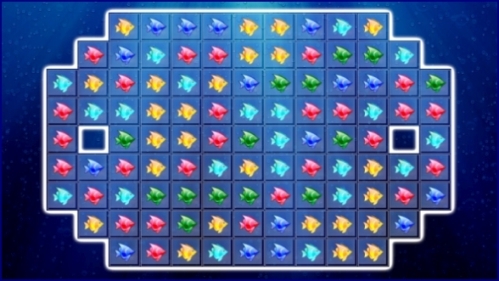 You must click on a group of at least two similar Fish to pop and collect them. There are 12 challenging levels in this game. Each level poses a different challenge and you have to beat the challenge to end the level. There are many mysterious power-ups, which can be activated by clicking on it or on the group which includes it. Controls Use the mouse to pop a group of same color Fish.